Learn how to repair corrupted SSS6686 Chip controller .Download SSS6686 Tc58nc6686 mptool v2.112 and update 3S6686 chip controller firmware .Fix SSS6686 USB flash drive format problems now . SSS6686 Tc58nc6686 mptool v2.112 is designed to format and repair corrupted Solid State System Chip controllers that have chip vendor "3S6686 " .SSS6686 mptool v2.112 can fix USB flash drive format problems such as write protection problem ,Insert Disk error problem ,Windows unable to format disk and other USB stick problems . SSS6686 mptool v2.112 support repairing SSS6686 chip controller only , so please don't use it with another usb flash controllers .You must determine your flash drive chip vendor first ,You can use Chipgenius software or USBDeview V2.30 utility. 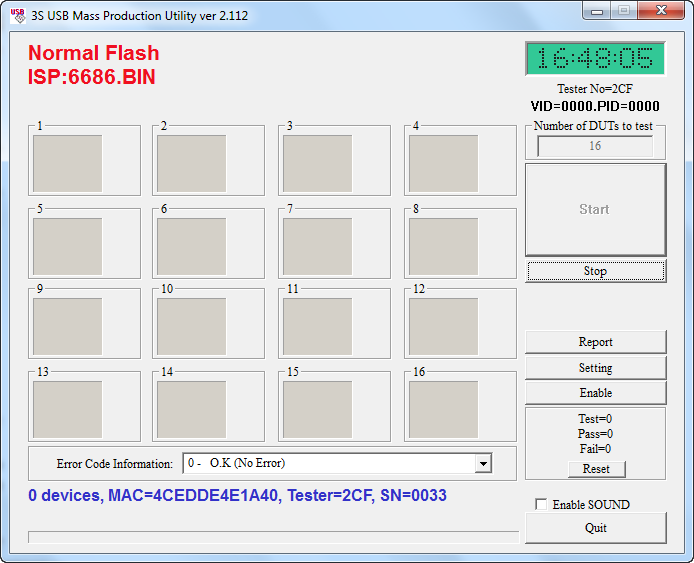 How to update SSS6686 flash firmware ? Download SSS6686 v.2.150.rar from the download links below . Insert your Corrupted SSS flash drives to your computer . Open SSS6686_MPtool.exe then put this password 5526568 then Click Enter . 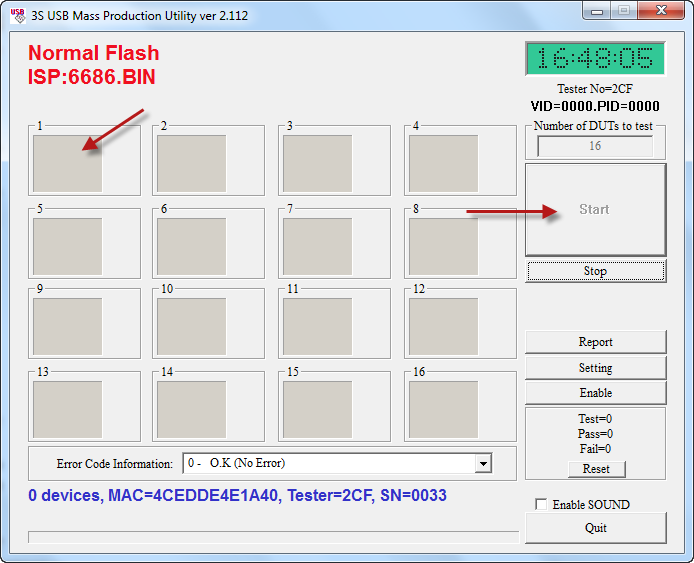 To format Flash drive click Start . مع التقدير . . .
255 - This controller is not supported. Error: This chip(0xBA) is not supported.